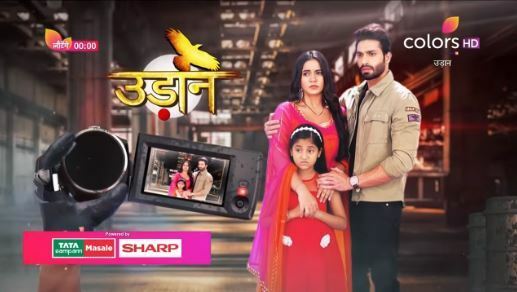 Colors’ Udaan will be soon taking a generation leap. The ten year leap will bring new faces and add a new track to the much dragged concept. Vijayendra Kumeria, the male lead of the show, playing Suraj and Raghav is quitting the show. Meera Deosthale will continue to be a part of Udaan. The story will shift to Mumbai where little Anjor will be seen as a grown up pretty girl. Bhavika Sharma will be playing the lead role of Anjor. Bhavika is currently seen as Niyati in Star Bharat’s Jiji Maa. The story will mark separation of Chakor and Raghav. Chakor sacrifices her love for Raghav because of her daughter Anjor. Would you like a generation leap in Udaan? Anjor didn’t wish Chakor to marry Raghav. Chakor rejects Raghav’s love and marriage proposal, so that Anjor doesn’t develop hatred for him. Anjor still falls in a misconception on seeing them getting married in the temple. The truth doesn’t reach Anjor. She begins to hate Chakor for choosing Raghav over her. Anjor wants to get away from them. She wants Chakor to live happy with Raghav. Chakor can’t afford losing Anjor. She parts ways with Raghav. Raghav’s character will be pulled off from the track. Meera and Vijayendra’s fans will surely be missing their chemistry in the show. Would you like a generation leap in Udaan? Let us know your opinion.